Spending the weekend frantically getting ready for the new school term? Trying to locate that missing PE kit or lost library book? Dashing out to replace the outgrown school uniforms and restock pencils and pens? 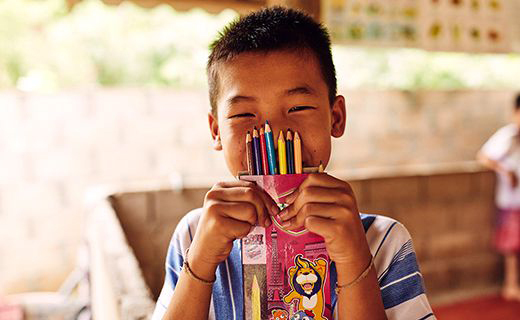 For many of the children we work with, these school essentials are simply beyond their reach. 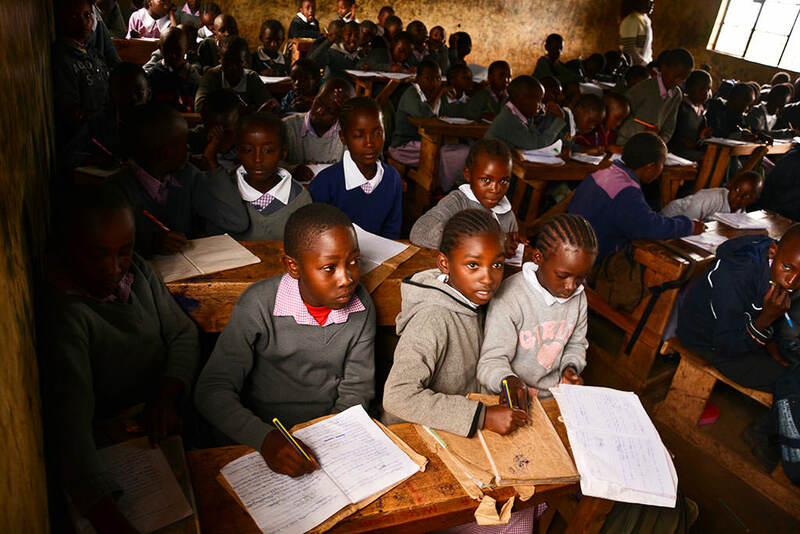 A lack of pens, pads, books and uniforms can stand in the way of them accessing the education they deserve. 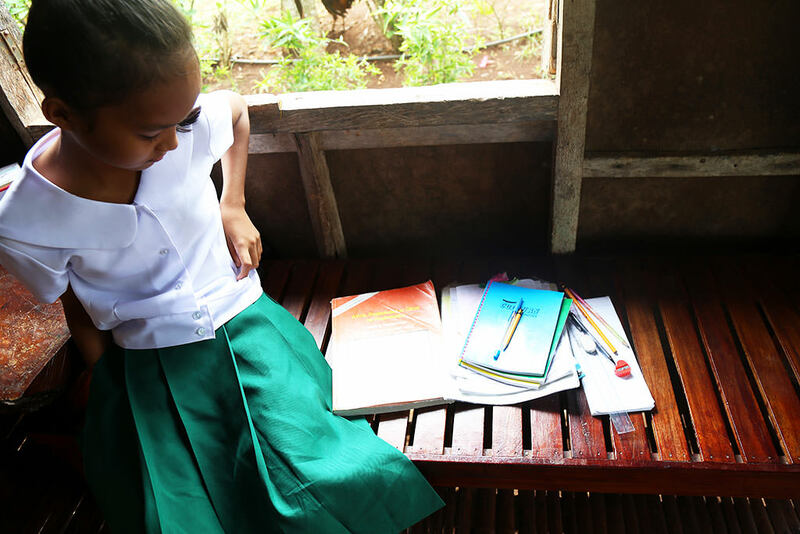 12-year-old Cyrene lives in the tiny town of Lazi in the Philippine island of Siquijor. 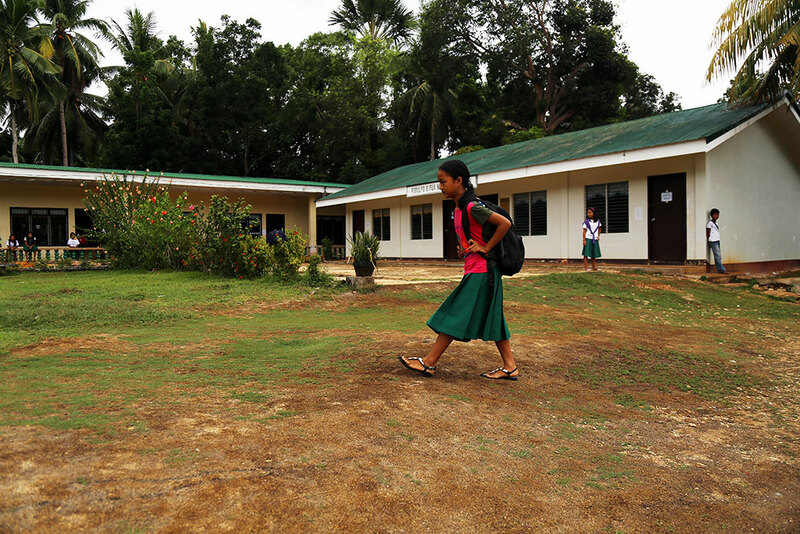 She travels to school by tricycle, the most common form of transport in rural Philippines. An early riser, many of Cyrene’s classes start at 7:00 am. Cyrene’s school bag was handed down from her sister and her mother has sewn it in many places to keep it together. Inside are school text books, a notepad and her pens and pencils. She also has a treasured heart-shaped pencil sharper. 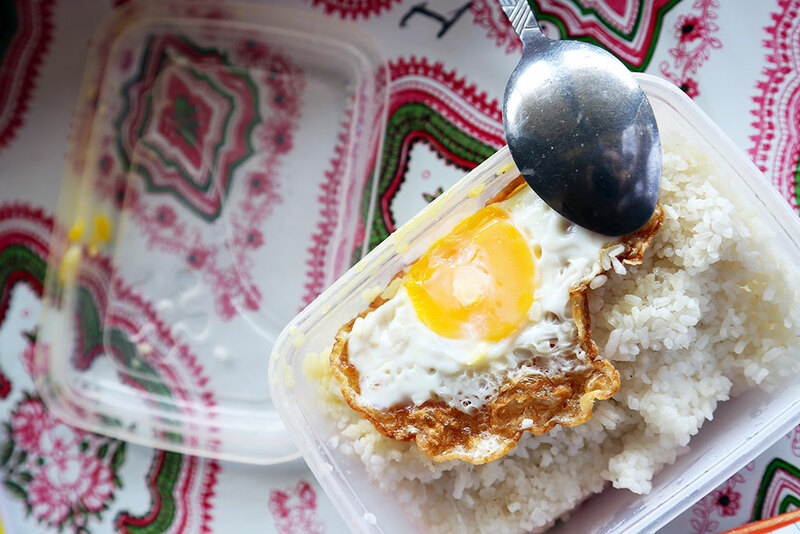 She takes her lunch with her; today she has steamed rice with an egg cooked sunny-side up. 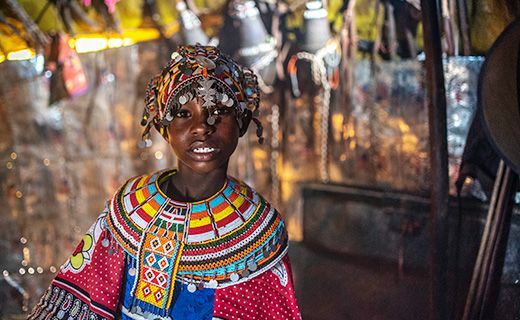 Joseph is 11-years-old and lives in north eastern Nairobi. 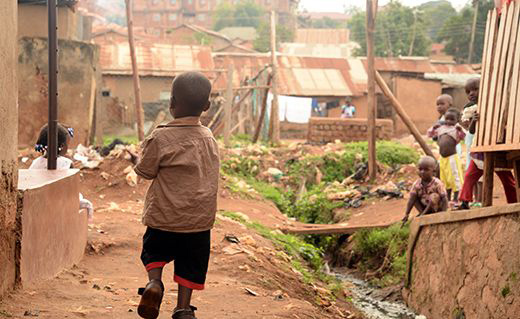 Like many children in rural Kenya he walks to his primary school. Classes begin at 8:00 am and finish around 3:30 pm. 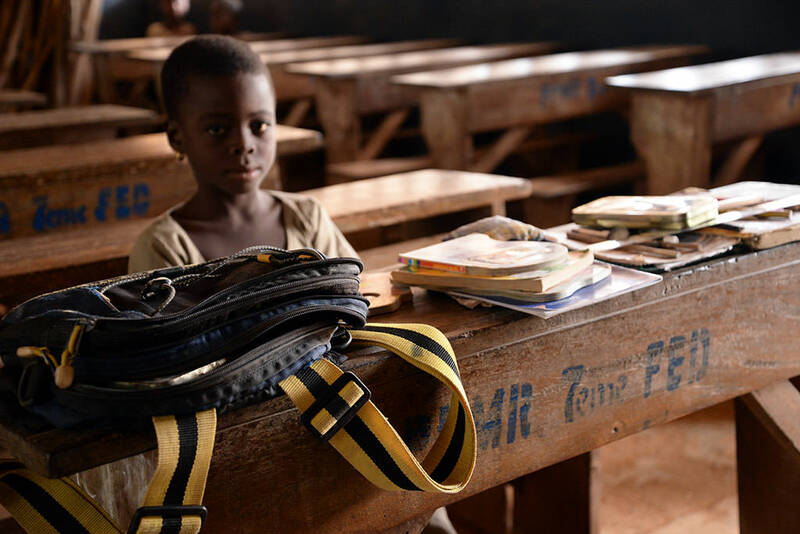 In Joseph’s classroom three or four children gather around one desk to get their work done. 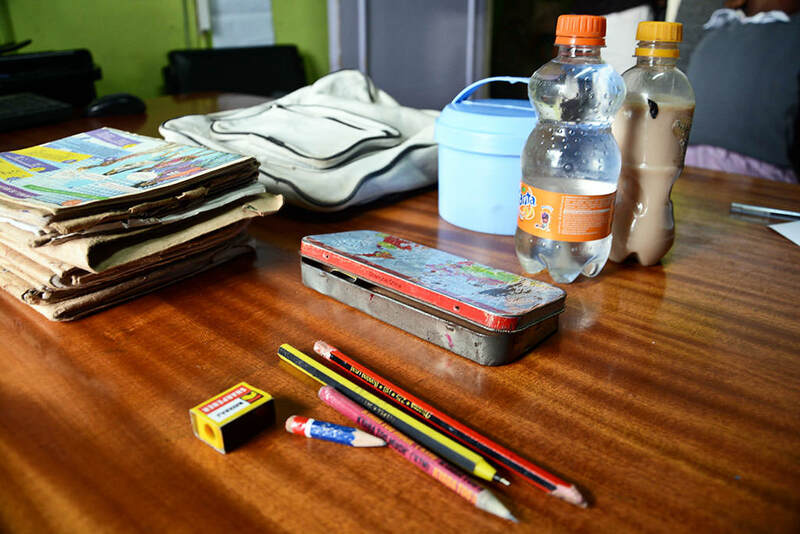 Inside his school bag are exercise books, pens, pencils, pencil sharpener and a geometry set. Bertha lives in Chinandega in the northwest of Nicaragua. In this region, the school day is broken into two sessions, 7:00 am to noon and 12:45 pm to 5:00 pm. Bertha attends the morning session. Her school is six streets away and she walks by herself. Inside her bag is her Spanish textbook, notebooks, pencils, scissors, ruler and glue. Reine lives in Badja, a village 20 miles from Lome, the capital city of Togo. She loves to read and her bag is full of books and magazines. She also has chalk and a duster, a maths kit, pens and pencils. Reine uses the chalk to write out sums on a slate board during her maths class. 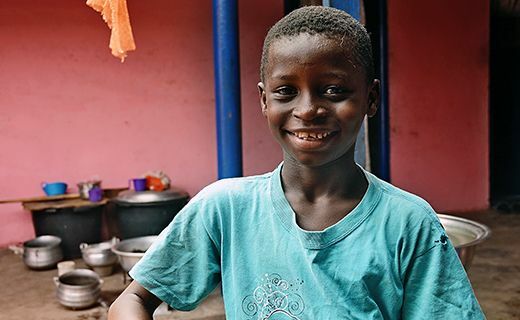 11-year-old Matheus has two dreams: he wants to be able to speak fluent English and his ambition is to become a vet. 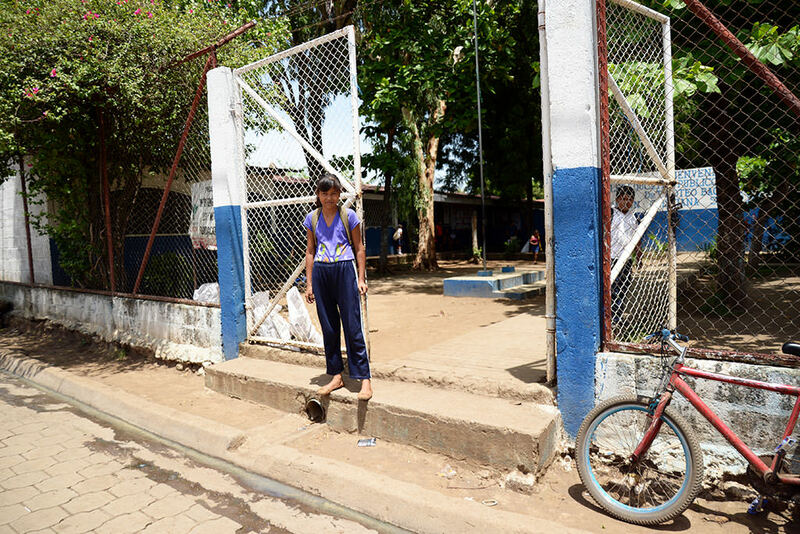 Matheus spends every morning at his Compassion project and then goes on to school between 1-6 pm. Matheus’s favourite subject is maths. “If I could, I would participate only in maths and arts classes”, he says. 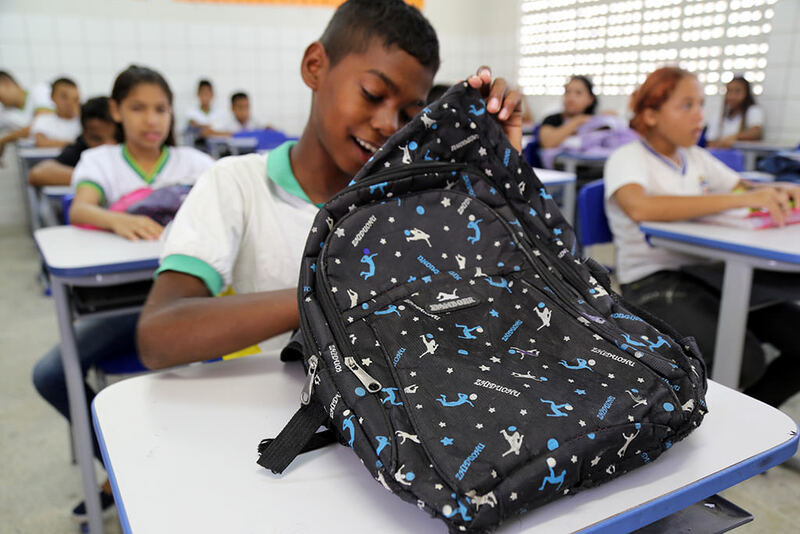 In Matheus’ school bag there are only two items: his maths book and his notebook. Today he forgot his pencil and pen! 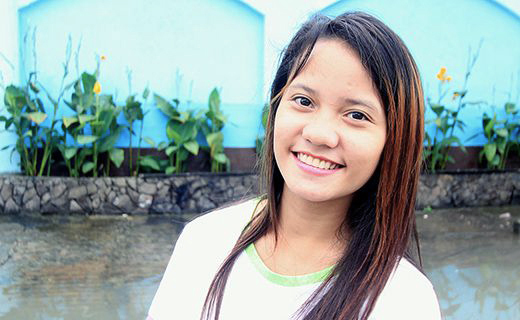 12-year-old Fedrica wants to be a doctor when she grows up. She loves studying science and English. "The English language will help me to understand what I study. 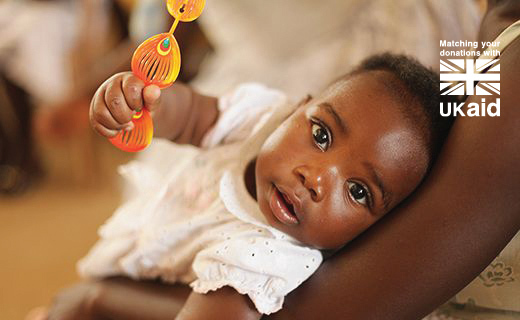 It will also help me to read instructions on drugs when I become a doctor,” explains Fedrica. 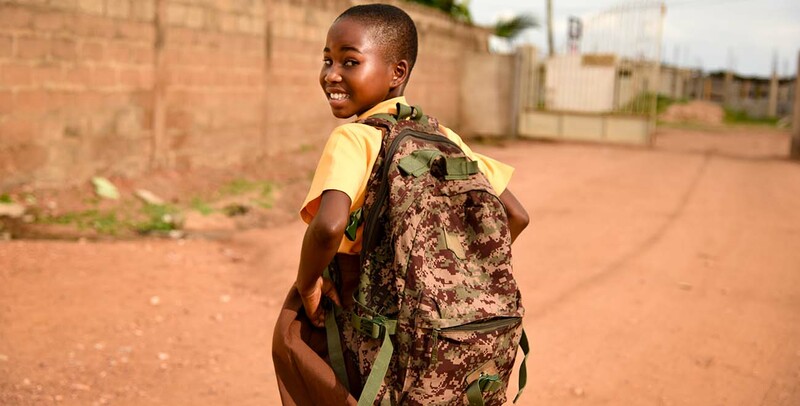 She is very proud of her backpack which is essential for her 2km shared taxi ride to school each day. Emon walks to school with his mum in time for the start of lessons at 10am. His favourite subject is maths because he loves to count numbers. 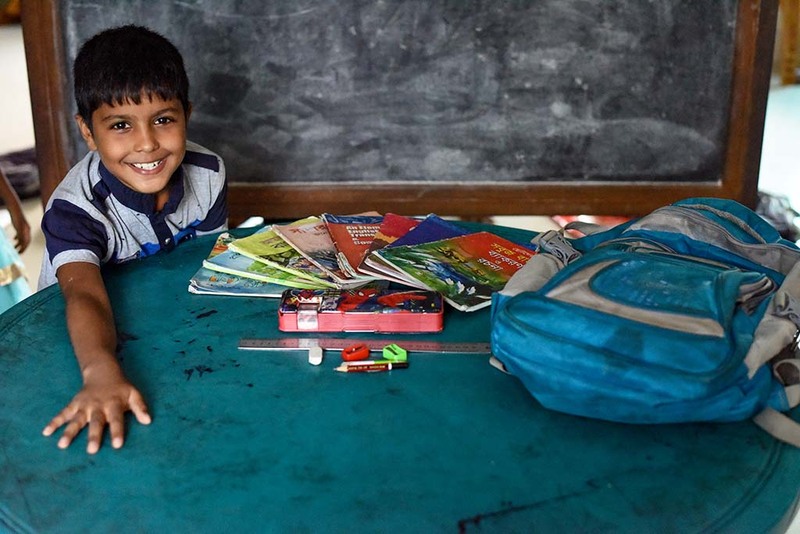 Emon carefully follows his school timetable and always makes sure he has the books he needs for the day’s classes. He never forgets his most treasured item: his Spiderman pencil box. 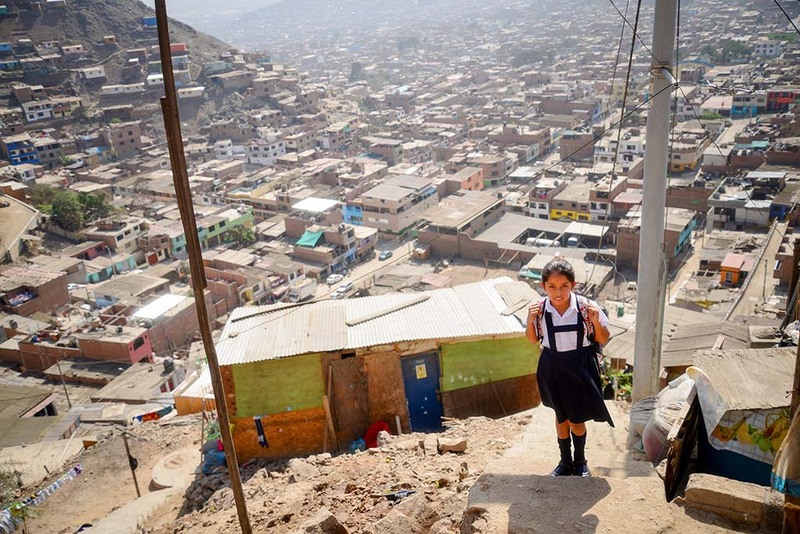 Rosmery lives near the top of a populated hill in Tahuantinsuyo, Peru. Every morning she wakes up at 6.30 am to get ready for school. She has to walk down stairs and stones for 30 minutes to reach her classroom. 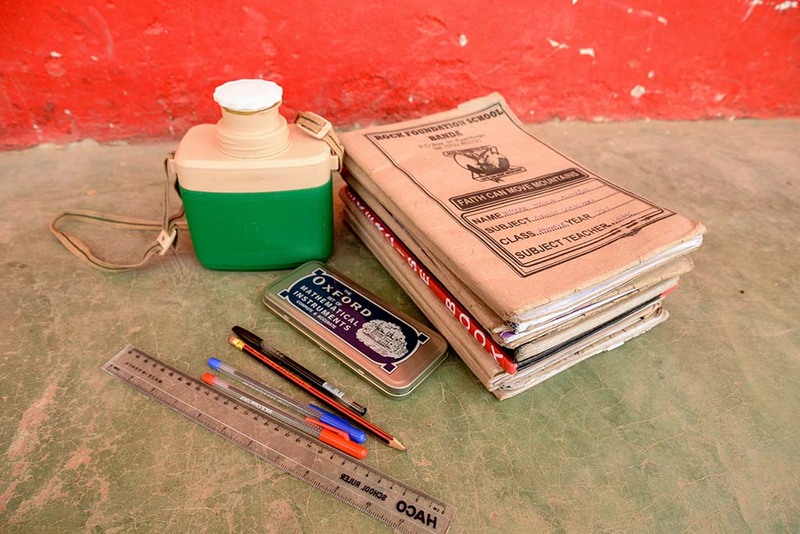 In Rosmery’s school bag are five notebooks – one for each class. She also has a pencil case with pens, pencils, a ruler and glue for her different school activities. Her bag is heavy but she loves it. Marion attends a small school in her community in Uganda. 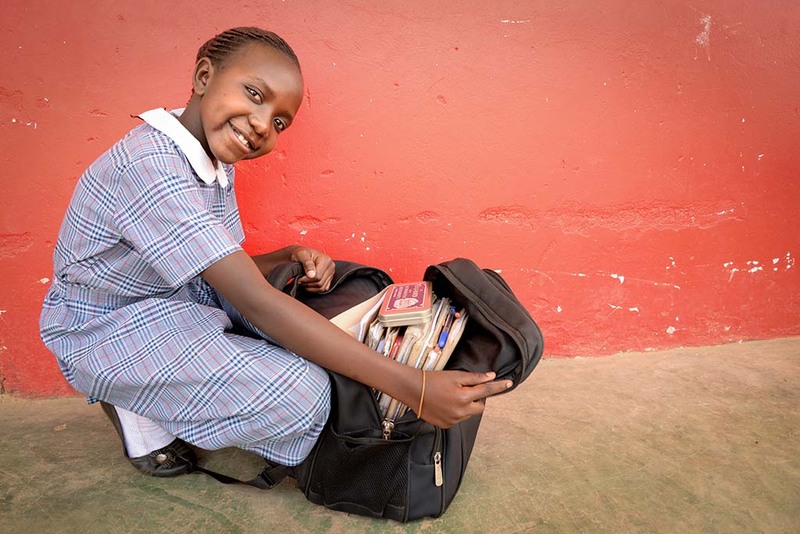 Thanks to her sponsor she receives school supplies like pens and books and even her school bag itself. 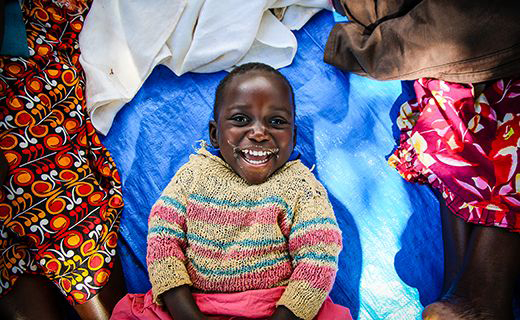 When Marion grows up, she wants to become a doctor. In Marion's bag there are books, pens, pencils, a ruler, maths set and a drink to keep her hydrated. 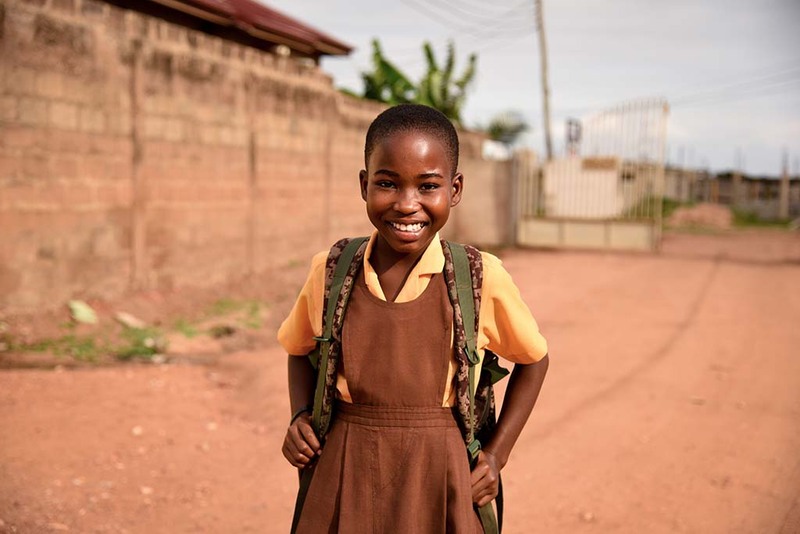 Whether they walk or cycle, get up early or leave their pens at home, thanks to your generous support every Compassion-supported child has access to education giving them a brighter future. 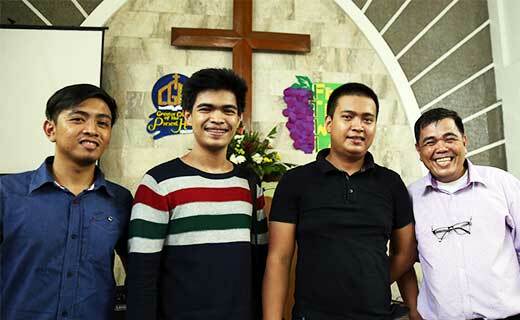 Thanks Compassion for sharing these stories. I was enlightened to see the many articles that children carried in their school bags. Whether large or small these items are precious to them. It is a joy to be a Sponsor. What’s in your school bag? 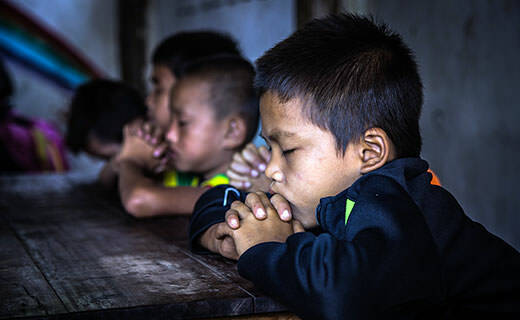 What a wonderful glimpse into the lives of Compassion sponsored children around the world and how precious is the educational opportunity that sponsorship offers these children along with the chance they have to hear about and know Jesus. It’s a privilege to be involved. How blessed are these children as they have a will to pursue and achieve their dreams to serve the community. Hope they continue to love learning and stay strong in God. So much love. Thank you Compassion for being Jesus' hands and feet. We tend to take the small things for granted but it's these reminders that keep us grounded. "To whom much is given, much is required"
It is wonderful to see how pleased these precious children are to be receiving an education. British children do not always appreciate how blessed they are to have schools to go to. 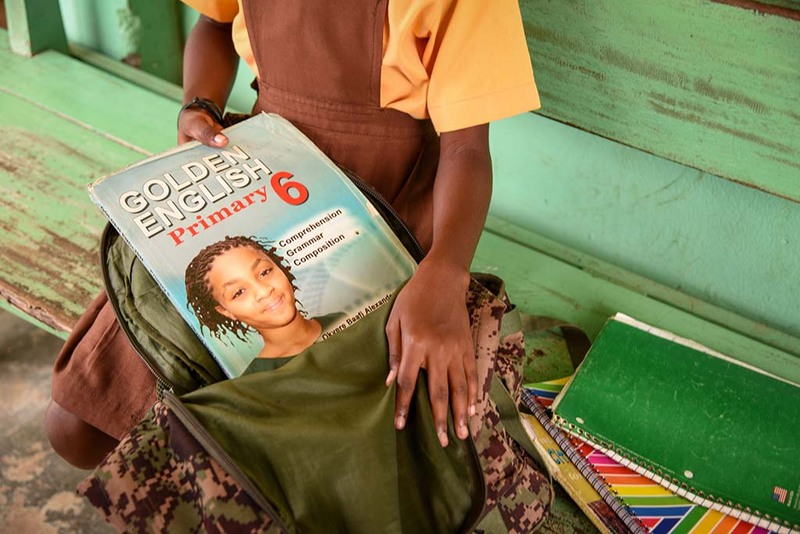 Having seen the pictures of sponsored children who are so proud of their books and pencil cases, it makes me realise (yet again) how privileged the children in the UK are, when they go to school. 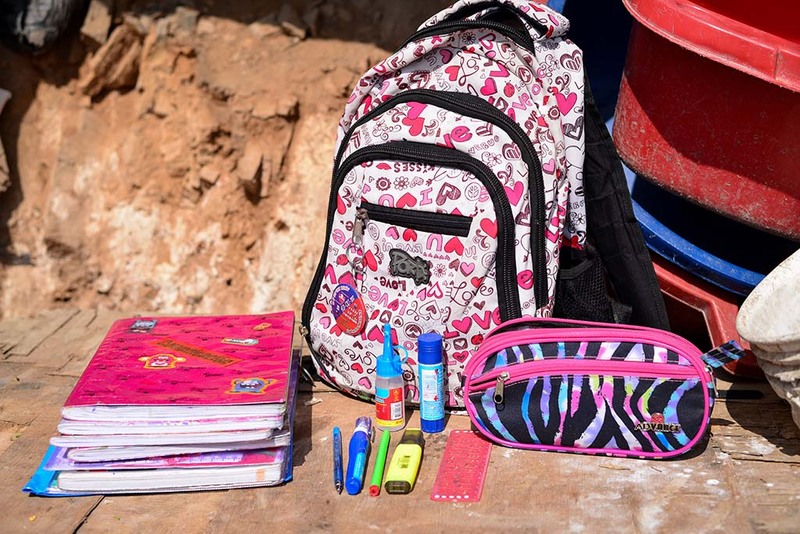 It is a privilege to sponsor children so that they can go to school and can be supplied with resources, like a school bag, pencil case and pencils and crayons. 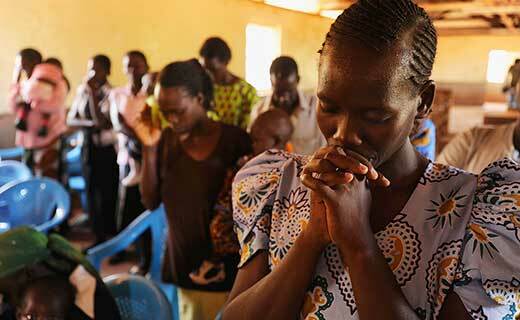 Please join with us in praying for those affected by the attack in Nairobi.